One of the great things the WordCount Blogathon has introduced me, personally, to is Wordles. 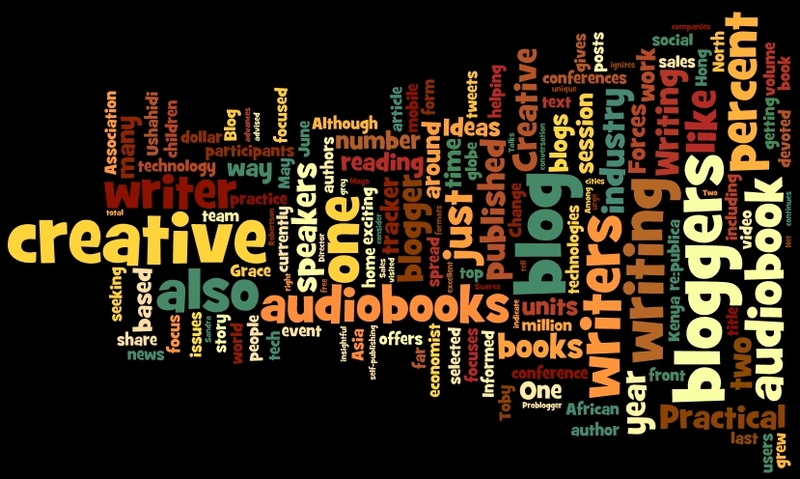 I was first introduced to these fantastic word clouds back when I participated in my first Blogathon back in 2010. Today I make use of these amazing pieces of word art in several ways. This year’s Wordle is based on this blog. As great as Wordles are, they aren’t always as visual or as creative as I would like. So I played fast and loose with one, combining it with one of my favorite images to come up with the profile image on my personal Google+ profile. I’ve recently created a professional Google+ Page as well but haven’t used it much. My intent is to use Google+ for curating content about my interests outside blogging, but we’ll see. It’s still in the very early planning stages. Since Wordles sort of visually sums things up, maybe I should sum up the last month and what keeps bringing me back to the WordCount Blogathon. Informed-Ideas.com was brand new when June began. Most, if not all, of the things I have achieved here is a direct result of the fantastic participants of #Blog2013 and the wonderful inspiration they and Michelle Rafter provide. What have I accomplished? Well, in a single month, in fact in its first month, Informed-Ideas.com has been visited more than 660 times! The 43 (now 44) posts have generated more than 50 comments. And, most amazingly to me, 45 of you are following Informed-Ideas.com! Thank you, everyone, for the support and encouragement! I’m looking forward to a long and mutually beneficial relationship. Speaking of looking forward: What’s next for me and for Informed-Ideas.com? I intend to continue with the daily posting habit I’ve established this month. I also plan to build on June’s strong foundation by expanding both my Facebook and Google+ presences as well as working on my various RolePlayWriter blogs (on WordPress and Tumblr), which will include information bloggers and especially fiction blogger will find useful) and paying more attention to Informed Ideas for Writers, the Group I founded on LinkedIN for all kinds of professional writers, not just bloggers. In particular, I want to focus on you, my readers and fellow bloggers, and provide more of the kind of information that will help you succeed and, hopefully, that you enjoy reading. Am I being overly ambitious? Perhaps. But one thing this blogathon has taught me is that great things are possible as long as you are willing to work for them. I’m willing to do the work so I fully expect to achieve great things. What about you? ← WordPress.com Reader: Ready for prime time?